Time sure flies when you're having fun! It's been almost three years since I shared some practical tips for how environmentally sound practices can improve a restaurant's profit margin without raising prices or compromising quality. Saving energy, water and other natural resources can significantly reduce operating costs. For instance, the New York Restaurant Association estimates that a 10% decrease in energy costs has the same impact on operating income as a 1.26% increase in sales. In other words, many of us were told as children "a penny saved is a penny earned," but with a 5% profit margin "a penny saved is twenty cents earned" is more accurate. Some things have not changed since my last post. Restaurants still use five times more energy per square foot than other commercial buildings, and the vast majority of that energy is consumed in the kitchen. Wasted energy still doesn’t just disappear --- it turns to heat and makes everyone uncomfortable unless you crank up the air conditioner. I believe that the tips that I provided three years ago would still be helpful to anyone operating a restaurant, so I'm incorporating most of what I wrote at that time into this updated post. Make sure that all equipment is in good operating order, including heating and ventilating systems, appliances, and lighting controls. Filters should be changed and coils should be cleaned often, especially in a restaurant. Only run equipment when you need to. During slower times, turn off things that are not in use. Don't let your profits go up in smoke. Demand response systems or variable speed motors in kitchen ventilation systems can save a lot of money, both by reducing the energy consumed by blowers and by reducing heating and cooling requirements. When purchasing new appliances, think in terms of life-cycle costs including purchase price, annual energy costs, and other long-term costs. Inefficient appliances make for an expensive double-whammy: in addition to having higher operating costs, they tend to emit more heat than their efficient counterparts, resulting in a hotter kitchen and potentially forcing you to spend more to cool the air. For a very modest cost you can change old fashioned fluorescent bulbs to more efficient T8s. You’ll not only save energy and money with this quick and easy change, the kitchen staff may feel more comfortable because more efficient lighting generates less heat and because the change in lighting will make the kitchen brighter and cheerier. Linear fluorescent bulbs dim with age, so long before they fail completely they stop providing adequate light. If you are investing in new lighting, consider engaging a lighting designer who is a LEED Accredited Professional. Good lighting design is an art and a science. And the technology involved is changing so rapidly that understanding it and deploying it properly is really a full-time job. Turn off computers and other electronic devices when they are not in use. Electronic devices use some power even when they are off, so it’s best to plug them into a power strip and power that off. Put aerators on faucets that you are not replacing. Use low-flow pre-rinse spray valves in the kitchen. They are inexpensive, easy to install, and save a lot of money. If you are purchasing restroom plumbing fixtures or fittings, chose models that save water. Low-flow faucets and dual-flush toilets are now widely accepted. Pay particular attention to your choice of appliances that use hot water. The less hot water they need to do the job, the more energy you'll save. Consider heat recovery. Some commercial dishwashers employ integrated energy recovery, using heat and steam they would otherwise exhaust to generate energy. Refrigerant heat-recovery systems use waste heat from walk-in refrigerators and freezers to preheat water for other appliances. Think about the potential adverse impacts that poor air quality could have on the health of your employees, your customers, and your business. There's an increasing body of empirical evidence that supports the correlation between indoor environmental quality and productivity (as indicated by absenteeism) in both schools and workplaces. Indoor air quality is, on the average, five times worse than outdoor air quality, and standard construction procedures can degrade air quality and increase health risks. Green design, construction and maintenance techniques can greatly improve indoor air quality at little or no additional cost. This is a very big topic, and one that I am particularly passionate about. For more information, please click "Health Impacts" on the sidebar to read my previous posts. If you want more detailed information, email me to ask for a reprint of an article I wrote called "Strategic Planning for Healthier Environments" for Sustainability:The Journal of Record. Limit the use of disposable goods. Recycle cooking oil. Your cooking waste is someone else’s biodiesel fuel. Track food waste and modify purchases accordingly. Donate surplus food to food banks. You're helping people who could really use a hand as well as reducing waste. Avoid waste in the design and construction of your restaurant. You can save a significant amount of money while helping the environment. Consider all of the benefits of purchasing ingredients from nearby farms. The primary reasons to use locally-grown food are usually that it tastes better and is healthier. But additional reasons, like supporting your local economy and reducing your ecological footprint, apply to the design and construction of your restaurant as well as to the food you serve. Give preference to suppliers who are relatively close by if there are none who are truly "local." Every mile saved on trucking distance helps reduce emissions and save fuel. And local suppliers are often more responsive to their customers if additional support is needed. Consider the environmental impact of shipping methods for your purchases. For instance, trains (and, if you're close to a coast, ships) are environmentally preferable to trucks for long-haul transportation. Team Middlebury College presented one of the most comprehensive, holistic approaches to sustainability that I’ve seen, incorporating environmental, economic, and social responsibility. Their InSite house is a charming, comfortable, and compact family home designed using principles that the team describes as “Five Points of InSiteful Design. Inspired by Le Corbusier’s ‘Five Points of Modern Architecture,’ these are five universal principles that serve as a guide to local living and can be implemented in every community – from new construction to home improvement.” The principles include living in a walkable community, prioritizing social space, centralizing energy systems, engaging the street, and using local materials. 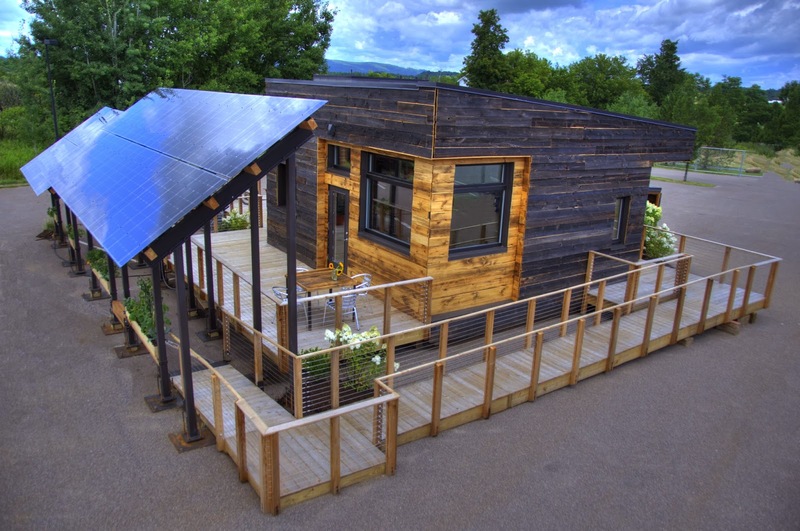 One especially innovative aspect of Middlebury’s project that demonstrated that the team was mindful of the “big picture” of sustainability was their decision to design and build a house that they shipped cross-country by rail, greatly reducing the carbon footprint associated with truck transport. The house is pursuing Platinum as a LEED for Homes project. 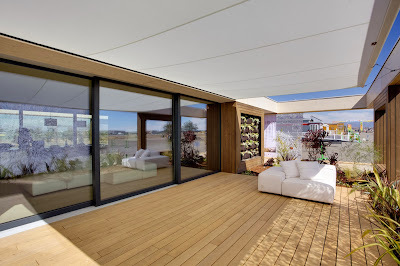 Solar Decathlon houses cannot be larger than 1,000 square feet, so many of the teams designed houses used large expanses of glass to integrate outdoor and indoor spaces and make their compact houses seem larger. 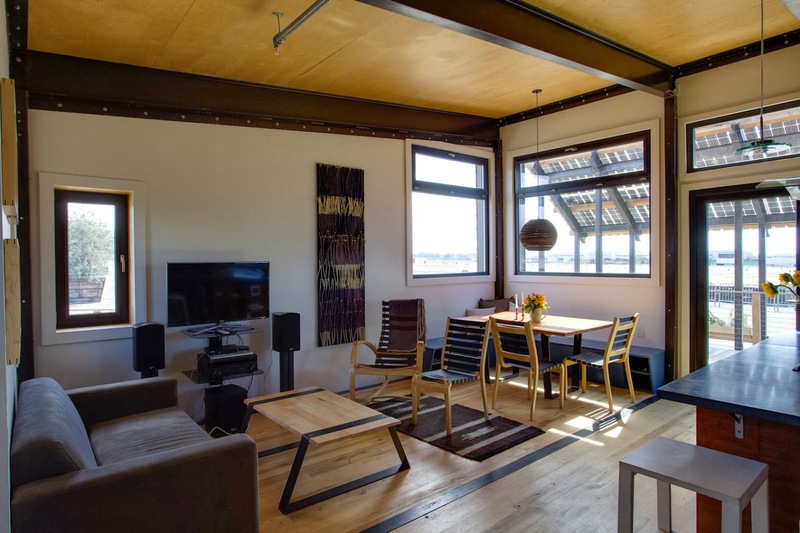 Middlebury’s house was thoughtfully designed to maximize comfort and privacy and minimize energy use in its urban in-fill setting in Middlebury Vermont, which is often very cold in the winter. InSite features a tight and well-insulated thermal enclosure and significantly less, more strategically placed, glass than many of its counterparts. This comfortable, warm and inviting house was designed for a couple with one child. The high ceiling of the open-plan common area makes it feel more spacious. 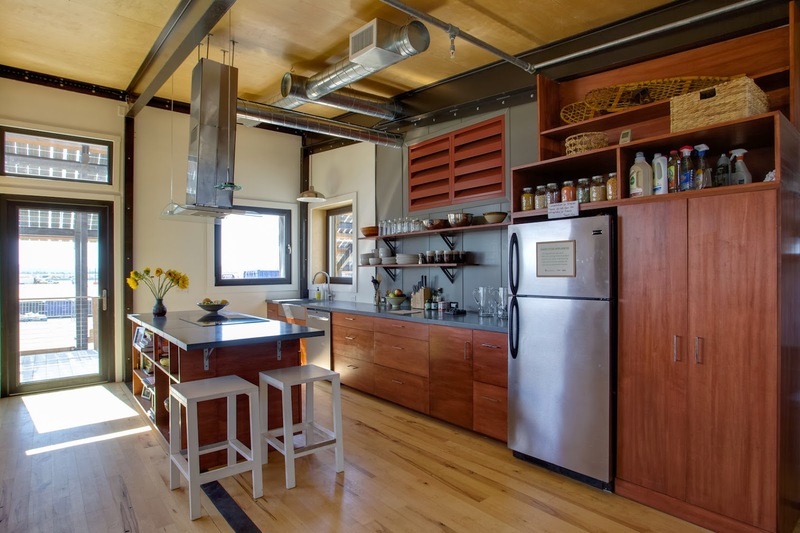 It provides ample shared space for the living room, dining area, and kitchen. The practical, functional layout includes two bedrooms that are separated by a shelf-lined hallway for privacy. The team took advantage of every inch of space, including using the thickness of the exterior wall to create a window seat. The solar array is separate from the house, which is a very clever way of illustrating the relative ease of adding renewable energy to an existing house. The solar panels are visible to anyone passing by the house, fostering ideas for a solar carport, porch, or tool shed. The panels are steeply pitched so that they will normally shed snow, and can easily be cleaned from the ground using a squegee. 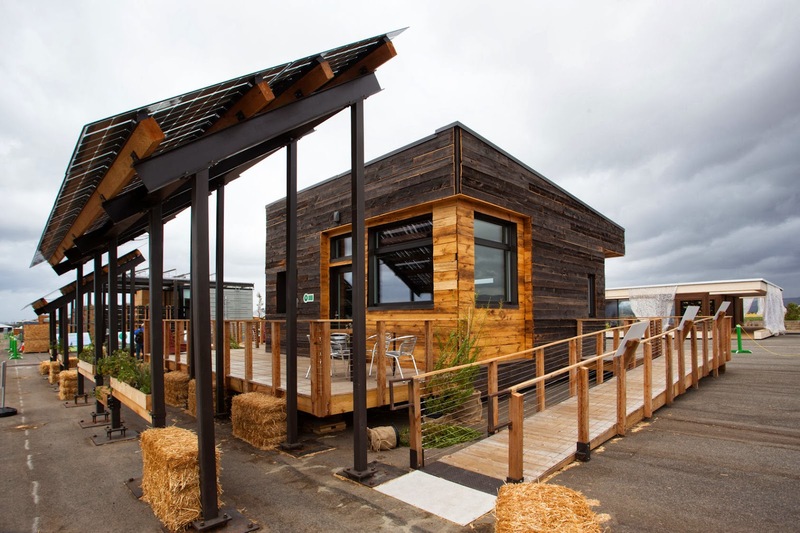 I have looked over a couple of my recent posts about the U.S. Department of Energy Solar Decathlon, and feel that some clarification is in order. While my blog entries focus just on a few aspects of the houses that were particularly attractive, even “subjective” contests like Market Appeal were judged according to clearly defined parameters in a very analytical fashion. Livability - Does the design offer a safe, functional, convenient, comfortable, and enjoyable place to live? Does it feature intuitive house controls? Does it meet the unique needs and desires of the target client? Marketability - Does the house have curb appeal, interior appeal, and quality craftsmanship? How well do its sustainability features and strategies contribute to its marketability? Does the house offer potential homebuyers within the target market a good value? Buildability - Would the construction documents enable a contractor to generate an accurate construction cost estimate and then construct the building as the design team intended it to be built? Could the house's materials and equipment be immediately adopted and built in the private sector? 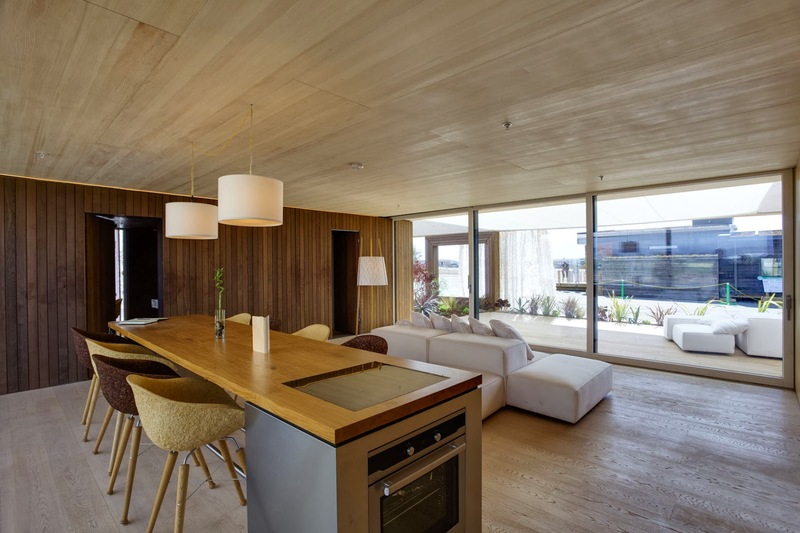 We loved the interplay between the clean, minimalistic design of this house and the warm ambience created by its extensive use of wood. The craftsmanship in this small gem of a house (a mere 639 sq ft., not counting the mechanical room) was exquisite. The indoor and outdoor spaces form a single harmonious whole with large sliding glass panels that completely disappear when open (they are concealed inside of the cabinets that line the walls). This prototype for a pre-fabricated house is designed in modules that fit into standard shipping containers. The team explained that their design follows the organization of a tree’s main components: the floor-to-ground connections that form the sound “root” foun­dation, the main service core that metaphorically comprises the systemic “trunk” of the house, the structural framework that “bran­ches” out to carry the building envelope, and the changeable textile façade layers that act as protective “foliage” when needed. 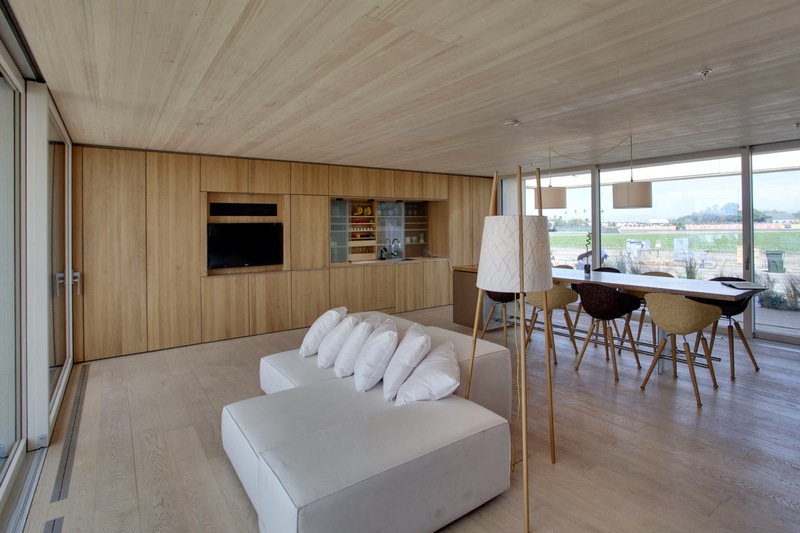 The house and its furnishings are const­ructed almost entirely of domestic wood products. Both affordability and environmental sustainability are maximized by using the whole tree, including the typically wasted bark, wood chippings and shavings. For instance, the walls of the bedroom and bathroom are specially-treated bark, and the dining chairs are made of compressed wood chips. 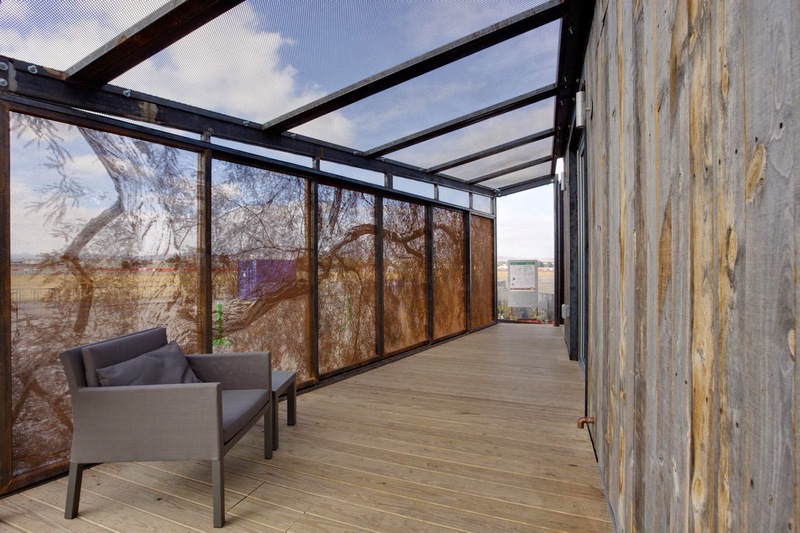 The team also used outdoor textiles in an innovative and elegant way, creating a passive solar mechanism that mimics the effect of deciduous trees. The whole house, including the outdoor space, is surrounded by a textile façade layer consisting of curtains made of white camo cloth combined with retractable horizontal shading devices. The system minimizes solar gain during the summer months, allowing diffuse daylight to reach the interior and creating a delightful dappled effect similar to sunlight filtering through a tree canopy. The vertical and horizontal textile layers can be fully retracted in winter to maximize solar gain. 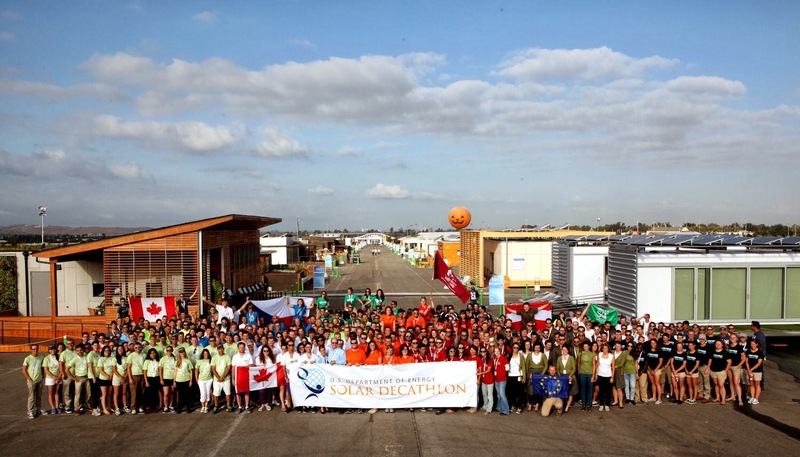 Solar Decathlon 2013 - Viva Las Vegas! I was honored to recently serve on the Market Appeal jury for the U.S. Department of Energy Solar Decathlon for a second time. The Decathlon challenges collegiate teams to design, build and operate sustainable solar-powered homes that are beautiful, comfortable, and affordable. All 19 houses were net-zero energy or better in the measured competition, and most of them effectively addressed a number of sustainability issues. My colleagues and I awarded first place to Team Las Vegas’ entry, DesertSol, an eloquent architectural response to the Mojave Desert climate. The architecture creates a sense of place, celebrates the beauty of a unique ecosystem and emphasizes the importance of an increasingly scarce resource, water. The team defined their central inspiration as a commitment to demonstrate the residents’ relationship with water as well as conserving water in many different ways. The focus on water is particularly appropriate, since Las Vegas was originally founded on the site of natural springs that dried up in merely 50 years due to overdrawing, and there’s danger of repeating history by overdrawing the area’s current water reserve in Lake Mead. 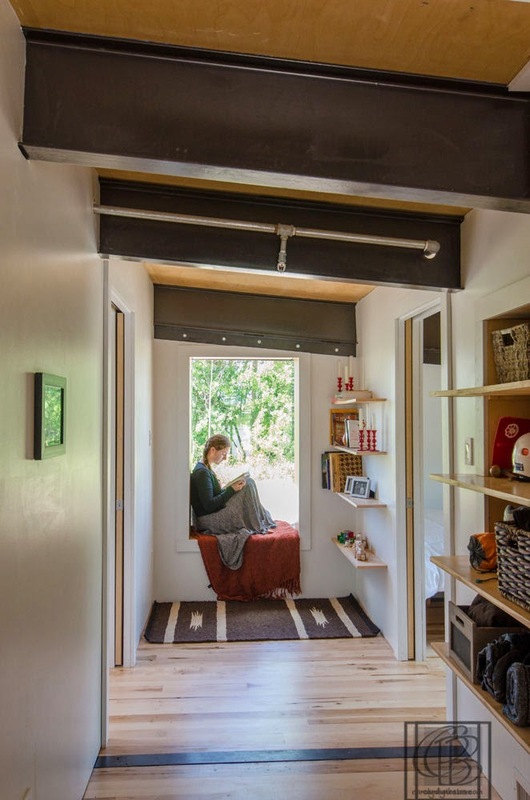 The spatial organization and open plan of this compact, 754 square foot home make it seem much larger than it actually is, and it beautifully combines sustainable design and luxurious amenities. 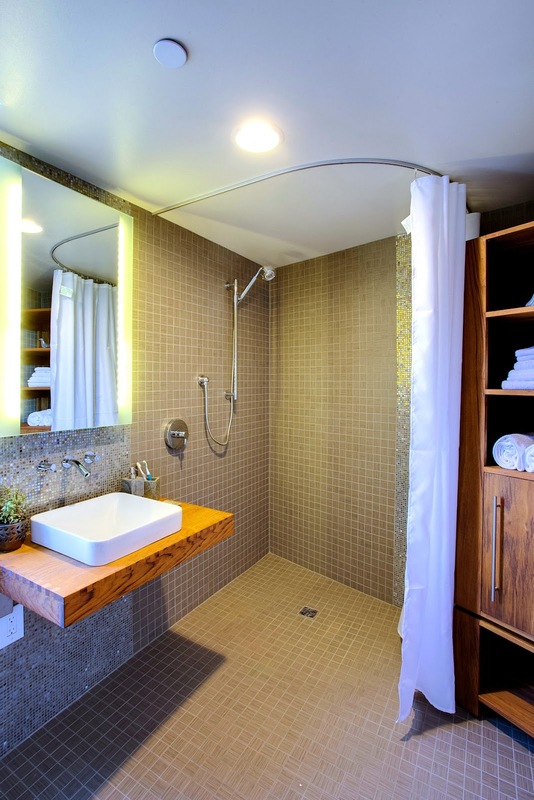 The layout and finishes of the bathroom make it feel like an elegant, rejuvenating spa. 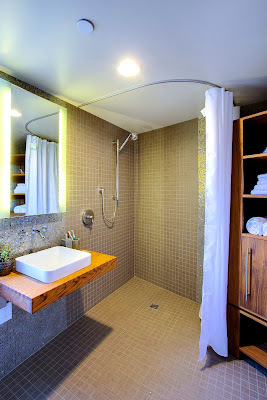 Panels of shimmer glass tiles in the shower and behind the custom sink evoke waterfalls. A particularly striking feature is the central entry, a space framed between the private and public parts of the house. The entry overlooks what is supposed to be a water feature but was actually more effective than originally planned in emphasizing the vital importance of that element. The team envisioned “a shallow pool of water with a bubbling center, reminiscent of the springs, designed to collect the precious four inches of precipitation each year and store the rainwater in a cistern.” But because there was no rain to fill the cachement system, the house centers around an arroyo (dry creek bed). The rainwater cachement system was to be used, together with grey-water, to provide any water needed for landscape irrigation. But not much water would be required because the team used native desert plants that require virtually no watering once their roots are established. The plumbing fixtures and the appliances all help save water. The Mojave is a harsh environment, the exceptional dryness, the intense contrast of sunlight and deep shadows have a profound impact, and the team’s material selection responds to these challenges positively by choosing natural, durable materials that age well in the desert. The silver-gray wood (recycled fencing) and rusted metal of the exterior reference the ghost towns of western lore. 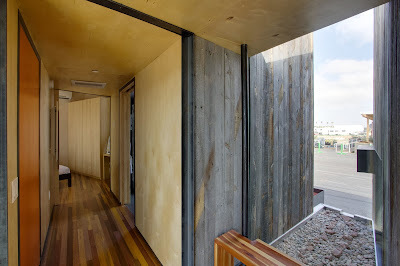 The connection between the indoor and outdoor spaces is emphasized by the use of the exterior wood on the walls of the entryway. Movable perforated steel screens provide privacy for the bedroom and shade in the summer. The pattern evokes light filtering through the leaves of mesquite trees. Most of us take plentiful access to drinking water for granted, and don't think twice about how much we waste when we install inefficient plumbing fixtures, leave the water running when we don't need to, and plant lawns, flowers and ornamental shrubs that require frequent irrigation. Okay, I'm cheating here --- there was never much rainfall in the land occupied in the Navajo Nation, and brackish water is not a new problem in this area. But potable water is becoming an increasingly scarce resource, even in the U.S. And there's increasing pressure to allow hydro-fracking, even where it could affect all of our drinking water. 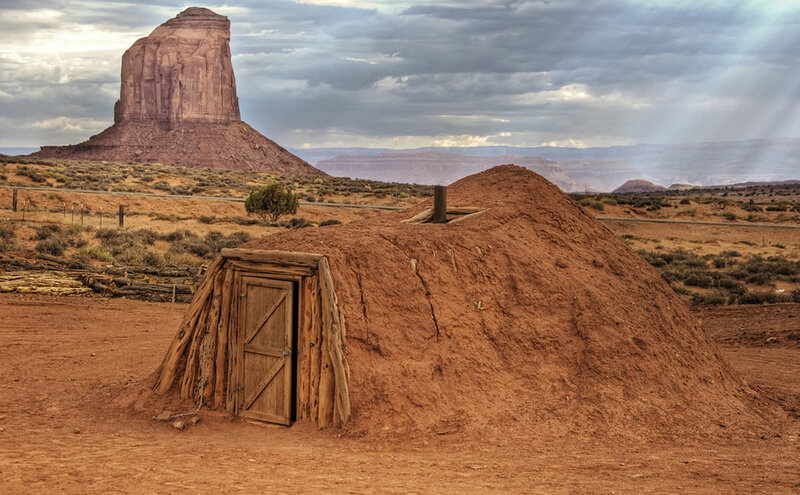 40 percent of the population on some parts of the Navajo Nation does not have access to potable water. 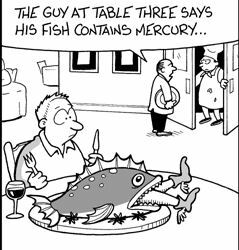 That doesn’t just mean drinking water. The water is not even good enough to bathe in, wash dishes, irrigate a vegetable garden or quench the thirst of livestock. Many Navajos have to make long trips every few days to haul water from communal wells. A large part of the problem is that most of the groundwater of the Navajo Nation is salty, brackish and impossible to drink because it comes through a salt cavern. Scientists from the University of Arizona and the Bureau of Reclamation took on a project to design and build an off-the-grid prototype solar solution that would purify existing undrinkable water. The system co-generation solar system will produce heat and electricity to run the entire desalination system without being tied to the grid. During a conversation about the impact of indoor environmental quality on employee productivity, someone I know said "All of the evidence is anecdotal." But when there is a great deal of anecdotal evidence linking improved indoor environmental quality to reduced absenteeism, the odds are that the correlation does have significance. Using absenteeism to evaluate the impact of indoor environmental quality on productivity is like using fatalities to evaluate car safety. In both cases, only the most extreme impacts are considered. Often people continue to work while suffering from respiratory problems, itchy or teary eyes, headaches and other symptoms associated with poor indoor air quality, but that their performance could probablly be improved if they felt better. Indoor environmental quality can impact all of these factors. Healthy and pleasant office environments can have a positive impact on employee recruitment, retention, and morale.